Stan Wawrinka has reached the fourth Grand Slam championship final of his career at Roland Garros and will now play Rafael Nadal in Sunday’s title match. 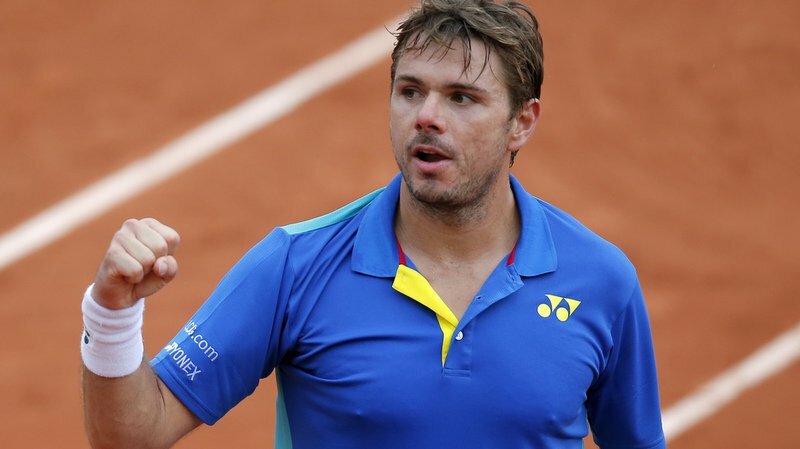 Wawrinka will look to add to his 2015 crown after he beat World No. 1 and last year’s finalist Andy Murray 6-7(6), 6-3, 5-7, 7-6(3), 6-1 in four hours and 35 minutes on Friday. The Swiss star, who hit 87 winners past Murray, has also won the 2014 Australian Open and the 2016 US Open. He is now 10 matches unbeaten, having retained the Geneva title prior to Roland Garros. « I think it was mentally a tough battle today, especially over five sets against Andy, » said Wawrinka, who converted nine of his 14 break point opportunities. « It was a little bit windy, so it’s not easy to always play your best tennis. Nine-time former champion Nadal beat Dominic Thiem 6-3, 6-4, 6-0 later on Friday at Stade Roland Garros.